Basketball Spotlight Memorial Day Classic 8th Grade Orange Division Championship Recap: Team Final Takes Gold Ball! After a grueling battle Team Final defeated Jersey Force 40-36 to win the Basketball Spotlight Memorial Day Classic 8th Grade Orange Division Championship. Basketball Spotlight would like to congratulate both teams for making it to the finals. Randolph had a very solid weekend averaging double digits. He has good size especially from a wing prospect. He can put it on the deck and knockdown the perimeter shot. It looks like Team Final has another one on the way. Basketball Spotlight Memorial Day Classic 8th Grade Blue Division Championship Recap: YSU Elite Grabs Crown! YSU Elite used a huge second half to run past Keystone Blazers 51-44 and win the Basketball Spotlight Memorial Day Classic 8th Grade Blue Division Championship. Basketball Spotlight would like to congratulate both teams for making it to the finals. Blakes was a monster on the wing. He got out on the break and used his athleticism to finish above the rim. He also showed other parts of his game including the willingness to drain the trey ball. This kid has a different burst of energy. Basketball Spotlight Memorial Day Classic 7th Grade Orange Division Championship Recap: Hilltoppers Heat Burns The Field! Hilltoppers Heat capped off a great weekend with a 56-44 victory Team RIO National to win the Basketball Spotlight Memorial Day Classic 7th Grade Orange Division Championship. Basketball Spotlight would like congratulate both teams for making it to the finals. Mr. Memorial Day: Justice Williams (Hilltoppers Heat) Williams exploded in the championship as he torched Team RIO with 4 treys and scored 20 points. He had a great weekend and looks like one of the best prospects in the region. This kid has a lot of game with him. Basketball Spotlight Memorial Day Classic 7th Grade Blue Division Championship Recap: NJ Bulldogs Pull Through! NJ Bulldogs held on the defeat Philly Triple Threat 52-47 to win the Basketball Spotlight Memorial Day Classic 7th Grade Blue Division Championship. Basketball Spotlight would like to congratulate both teams for making it to the finals. Pitts came up big in the finals with 11 markers. He’s a strong guard and knows how to use his size to his advantage. He was a major reason with the Bulldogs pulling out the championship. Basketball Spotlight Memorial Day Classic 6th Grade Orange Division Championship Recap: B&B Running Rebels Keeps Rolling! The B&B Running Rebels continued their winning ways with a 54-48 victory over We R 1 (Lehigh Valley) to win the Basketball Spotlight Memorial Day Classic 6th Grade Orange Division Championship. We would like to congratulate both teams for making it to the finals. Myers not only ran the point but also knocked down the long ball. He drained 3 treys and scored 20 points while helping his team win the crown. The floor general really stepped up. Basketball Spotlight Memorial Day Classic 6th Grade Blue Division Championship Recap: NJ Bulldogs Gets It Done! NJ Bulldogs avenged an earlier loss to defeat Ocean Elite 49-13 to win the Basketball Spotlight Memorial Day Classic 6th Grade Blue Division Championship. Basketball Spotlight would like to congratulate both teams for making it to the finals. Thomas had an all-around weekend at the guard spot. He scored the rock and set up teammates. He also showed great leadership on the floor. He finished with 8 points in the finals. Basketball Spotlight Memorial Day 5th Grade Blue Division Championship Recap: Fidonce Wins Battle Of The Bulldogs! Fidonce Bulldogs made their debut and defeated NJ Bulldogs 35-14 to win the Basketball Spotlight Memorial Day 5th Grade Blue Division Championship. Basketball Spotlight would like congratulate both teams for making it to the finals. Stay tuned as we bring you more coverage from the MDC. Evans came through in the finals especially from the perimeter as he banged home 3 treys on his way to 21 points. The young boy seems to have a bright future. We look forward to seeing more of him in the future. Basketball Spotlight Memorial Day Classic 5th Grade Orange Division Championship Recap: Team IZOD Comes Through! In one of the best games of the weekend, Team IZOD/Sports U held on the beat Team Delaware 57-51 to win the Basketball Spotlight Memorial Day Classic 5th Grade Orange Division Championship. Basketball Spotlight would like to congratulate both teams for making to the finals of a tough division. Stay tuned as we bring you more coverage from the MDC. Morello has the heart of a lion and showed it all weekend. He’s not afraid to drive into the land of the giants to get a bucket or drain a jumper from the perimeter. He also has some good court vision. The youngster has the confidence of a good player bottom line. Basketball Spotlight Memorial Day Classic 4th Grade Championship Recap: Silverback Nationals Cruise! Silverbacks National jumped out early and didn’t slow down as they defeated FCP Elite 38-10 to win the Basketball Spotlight Memorial Day Classic 4th Grade Championship. Basketball Spotlight would like to congratulate both teams for making it to the finals. Stay tuned as Basketball Spotlight bring you more coverage from the MDC. 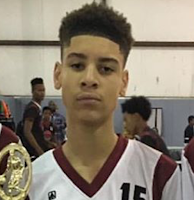 Mr. Memorial Day: John Jackson (Silverback National) Jackson capped off a great weekend by nailing 3 treys and scoring 17 points to help his team capture the Gold Ball. He’s only a baby baller but we will be looking watching out for this kid. Basketball Spotlight Memorial Day Classic 3rd Grade Championship Recap: Team Delaware Represents! Team Delaware used a pressing style to defeat the NY Gauchos 43-19 to win the Basketball Spotlight Memorial Day Classic 3rd Grade Championship. Basketball Spotlight would like to congratulate both teams for making it to the finals. Stay tuned as we bring you more coverage from the MDC. Howell scored a game high 15 points in the championship and spent the weekend being a dynamic defender. He was tenacious with his on ball defense collecting several steals on the championship game. 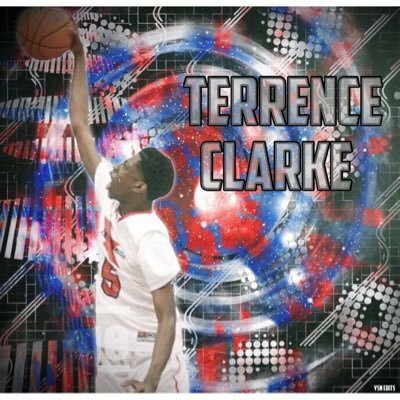 Terrence Clarke signing in for my last diary entry and I would like to thank BballSpotlight for having me for the past weeks and for giving me a chance to give you all an inside of my life. 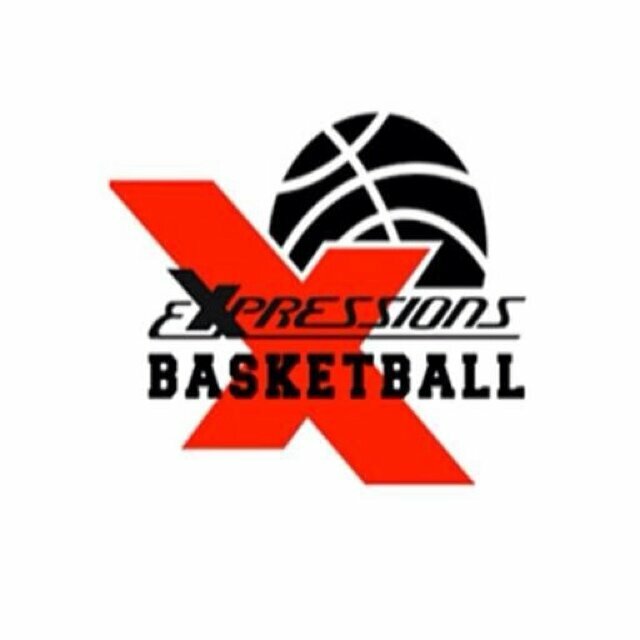 It’s been a great ride, and I’d love to thank everyone that have been supporting me including my AAU team, Expressions Elite, and my coaches and teammates. BASKETBALL SPOTLIGHT MEMORIAL DAY CLASSIC SCHEDULE! The Basketball Spotlight Memorial Day Classic schedule link is below. Please download the Basketball Spotlight Exposure App to keep up with the games and schedules. Sorry we couldn’t accommodate time slots but we tried our best. See everyone this weekend and make sure you travel safe. PLEASE CHECK BACK FOR CHANGES LEADING UP TO THE EVENT. 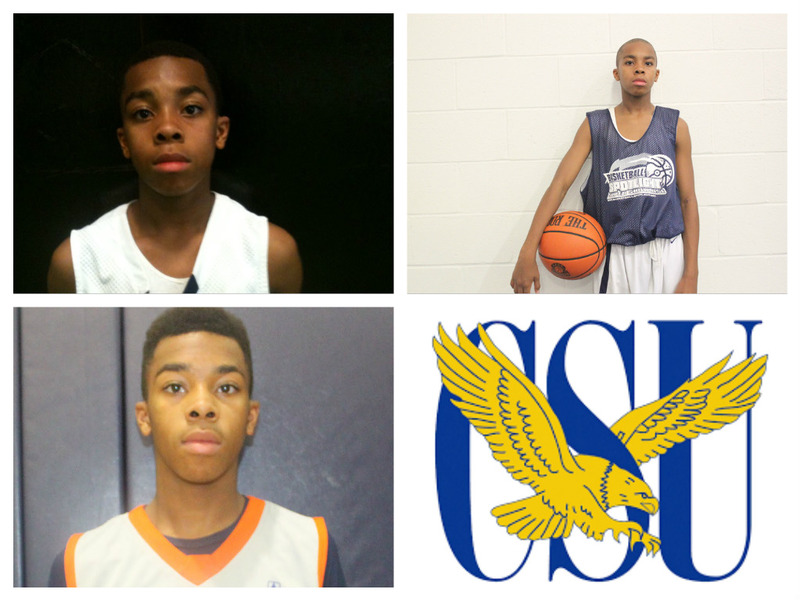 Spotlight Alum Fair Selects Coppin State University! Spotlight Alum KeAndre Fair has decided to attend Coppin State University. 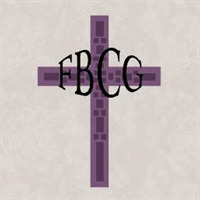 Fair played on the Spotlight circuit with CBC and was a major reason with turning their program into a national power. He then attended Weaver High School and helped them win a first state title in many years. He was truly a joy to watch during his Spotlight years. Basketball Spotlight would like to congratulate KeAndre and His family on his commitment and wish them much of luck in the future. 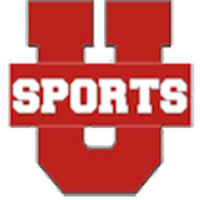 Stay tuned as Basketball Spotlight bring you more college commitments from former Spotlight stars. Spotlight Alum Duval Selects Duke Unversity! 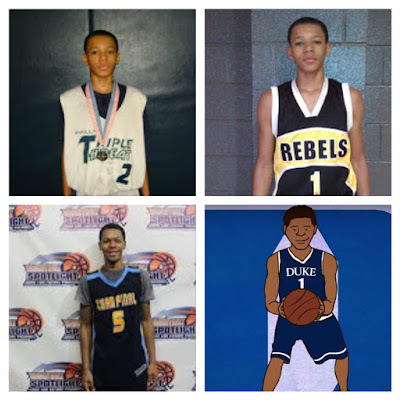 As everyone in the world already knows Basketball Spotlight Alum Trevon Duval has select Duke University. Duval played on the Spotlight circuit with several teams including Dc Assault, Philly Triple Threat, Team Rebels, Team Final and Team IZOD. 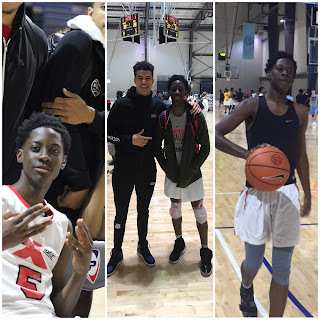 He then went to the high school to rock with the Playaz Basketball Club and helping them win the Nike EYBL Championship before switching to WE R 1 and capturing a couple of Under Armor titles. He capped his high school career playing in the McDonald's All American Game and Jordan Brand Classic. Basketball Spotlight would like congratulate Trevon and his family on their commitment and on his future. He gave Basketball Spotlight great memories and will be always missed. Stay tuned as we bring you more college commitments from former Basketball Spotlight stars. The Atlantic City Showcase is in the bag and Hoop Nation has released another Mixtape from the event. This features some of the top ballers in the region. Please enjoy and stay tuned as we get ready for the Memorial Day Classic. Thanks for your support as we try to bring you the best exposure. Feat: Terrence Clarke, Noah Harris and many more. Terrence Clarke signing back in for week 9 of my Basketball diary. I hope everyone had a great week and was productive. My week went pretty well but didn’t end as planned. Monday I was dog tired and went to classes pretty late due to getting back to the dorm at one in the morning and oversleeping. However, I got through all of my classes in a breeze to get through the day to get back to sleep. After school, we went to track practice and went back to dorm to rest. Since I had another session of EYBL, I knew working out would be perfect for me, but I needed to rest my body so I could perform well. Breakdown: Rivera is a combo guard for New World Unlimited and has proven he get the job done on the big stage. He gets through the defense whenever he wants and finishes through defenses. 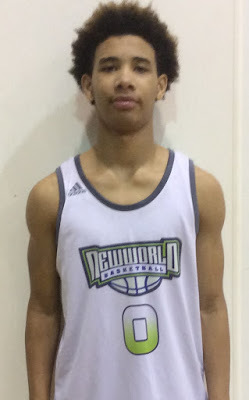 New World Unlimited has a guard that gets it done on both ends of the floor. He should be a may stay in their program for years to come. Team Delaware Is Stacked With Talent! One Of the impressive 5th Grade teams in the region has Team Delaware. These youngsters made their way to the AC Showcase and the won the Blue Division title. Before they get ready for the Memorial Day Classic we wanted to introduce a few of their players. Su-Meer Alleyne (Forward)- One of the most talented players in their age group at the AC Showcase. He brings skill, size and effectiveness on this level. He can play and defend multiple positions and looks to have a tremendous upside. I look forward to seeing more of him in the future. Mekhi Caldwell (Guard)- This poised point guard runs the dhow like a true general. He directs traffic and seems to see the floor very well. If you make a mistake and leave him open he’s capable of training the outside shot. Every team needs a player like Caldwell. Ahmad Foster (Forward)- Foster had a huge game versus the NJ Shore Shots where he dominated the boards. He also came up big on the charity stripe by knocking down the free throws to seal the victory. Robert Wright (Guard)- Wright is tough as nails and will attack the lane at all times. He has a mean floater and knows how to finish in traffic while absorbing contact. He’s a good backcourt mate for Caldwell. Kareem Thomas (Guard)- One of the quickest players around. He loves to play defense 94 feet while causing turnovers. He also showed he could finish off plays in traffic when running the floor. He’s definitely a change of pace player. Amir Williams (Forward)- Williams got injured but also made noise this weekend. He has developing footwork, runs the floor like a deer and is a problem on the blocks defensively. I really like this kids upside. Breakdown: Edwards is a combo guard that knows how to get buckets. He has the ability to breeze through the defense and finish. He’s explosive in transition and can maneuver around shot blockers. He has the game and confidence to take his game to the next level. I like what I see with this kid. Stay tuned as we bring you more top players. The Basketball Spotlight 8th Grade Top 10 Presented By AGame Team Apparel is listed below. These rankings are based on our opinion and should be taken as such. 1. NY Rens: The squad proved to be the most dominant force in the country. They beat just about everyone they faced. They are now playing up on the different circuits. 2. Team Takeover: TTO might be the only team that can challenge the NY Rens. Hopefully they will meet up somewhere down the road. 3. New World Unlimited: NWU has made a name for themselves and bringing in heavy hardware. They have a shot to be national champs. 4. NY Dragons: The Dragons are on the rise. They knocked off a few sneaker circuit squads on their way to the AC Showcase crown. They also recently won a 15U event. 5. We R 1 Bulldogs: The Bulldogs jumped up to number 5 after making it to the finals of the AC Showcase. They knocked off some of the top teams in the region. They could be a dangerous team come AAU Nationals time. 6. Milbank: Once again “The Bank” proved their worth and made it to the final four of the AC Showcase. They have been one of the most consistent teams this year. 7. 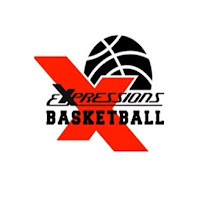 Expressions Elite: The X moved up to #7 after making a semifinal run during the AC Showcase. I love the long term potential of this squad. 8. PSA Cardinals: The Cardinals made a quarterfinal run during the AC Showcase. They are now moving to the 15U circuit. 9. Dynamic Disciples: DD showed their toughness again by making to the quarterfinals of the AC Showcase. This is not a team many people want to see. 10. Team Final: TF was absent from the AC Showcase but we be returning to the MDC. We want to see how they do going for the Gold ball. The Basketball Spotlight 7th Grade Top 10 Presented By AGame Team Apparel is listed below. These rankings are based on our opinion and should be taken as such. 1. New World Unlimited: NWU takes over the top spot after running through the loaded Ac Showcase. They seem to be striving at the right time. They defeated some quality squads on their way to the title. 2. NY Gauchos: The Gauchos fell to NWU in the semifinals. These two squads have been battling the last couple of tournaments. The Choz should make a lot of noise in the AAU Nationals. 3. Team Rio National: Rio was absent from the AC Showcase but the high powered squad should be back in action this weekend at their tournament. I love the pieces they have with this squad. 4. WE R 1 (White)- This squad made their debut and knocked off some of the top teams in the region on their way on their way to finals. You might didn’t hear of them before but I bet you heard of them now. 5. Team Takeover (Black)- TTO remains one of the top teams in the region. They have collected titles at several tournaments and should be a team to watch the rest of the way. 6. NY Lightning: The NY Lightning made their Spotlight debut in AC and made a run to the final four. They have enough talent to thrive on any circuit. 7. Riverside Hawks: The Hawks were in the Elite 8 at the AC Showcase. They are always a dangerous team and capable of beating anyone. 8. PSA Cardinals: The Cards fell to #8 after having a tough outing in the AC Showcase. We still feel they are one of the most talented teams in the region. 9. Team Final: TF was absent from the AC Showcase. I love some of the pieces they have and will be looking forward to seeing them in the future. 10. Team IZOD: Team IZOD rolled through the Orange Division to win the crown. I’m intrigued with how good this team could be. 8th Grader Patterson Picking Up College Offers! "The Lion" On The HUNT IN NIKE EYBL!